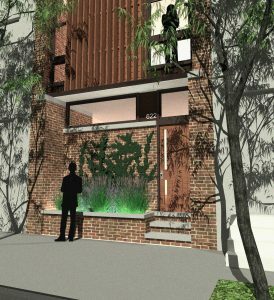 “Slider House’ proposes an adaptable facade comprised of sliding wood screens that allow varying degrees of privacy and sun control. The goal is to establish a sense of openness and engagement with the streetscape without sacriﬁcing personal privacy. 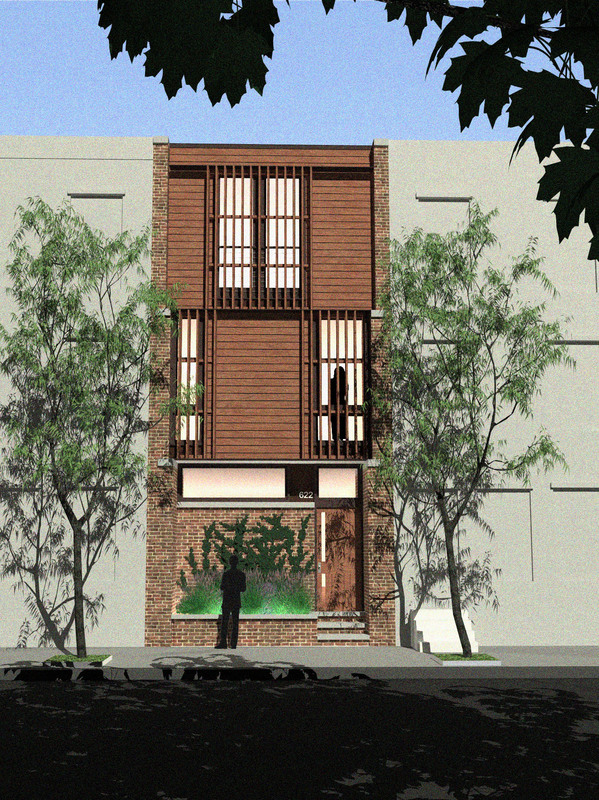 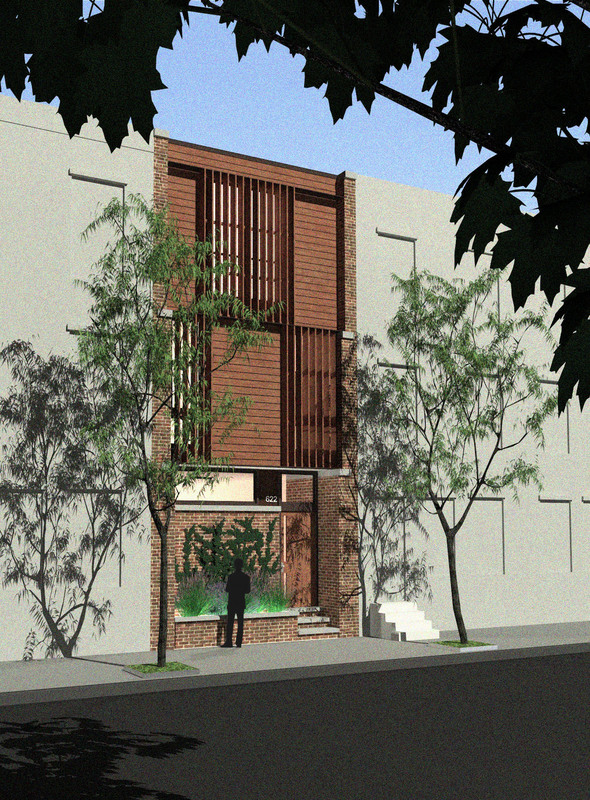 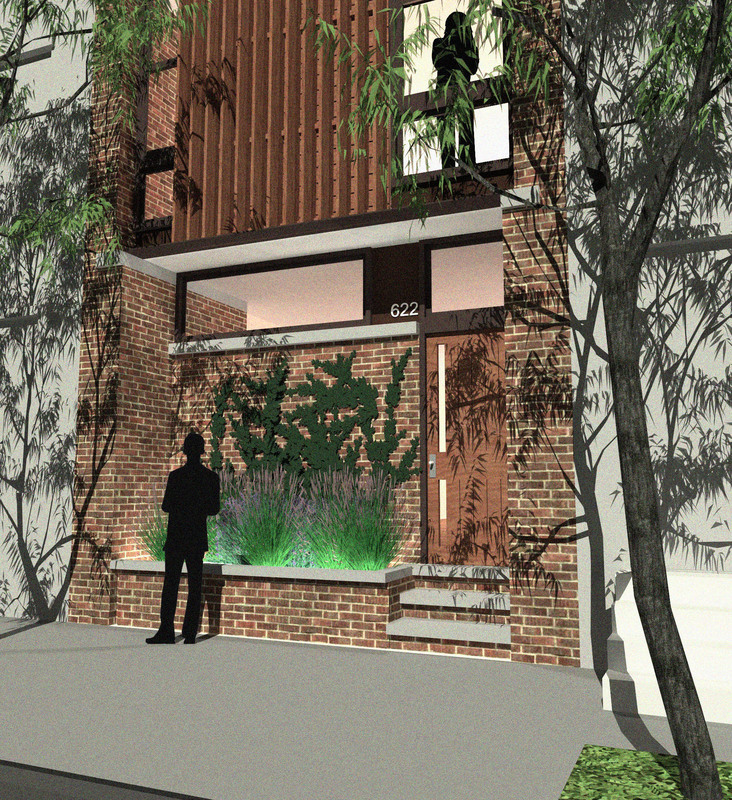 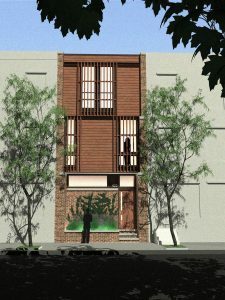 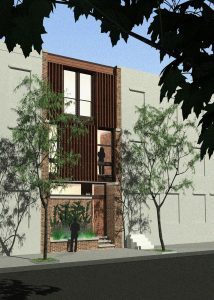 The inset base reinterprets the traditional rowhouse stoop and allows for the greening of the facade and street face. 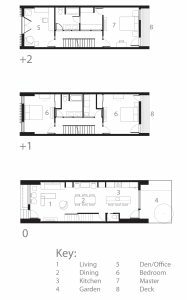 Interior spaces are modest in scale, but allow for an open plan ﬁrst ﬂoor with views that open to an enclosed rear garden. 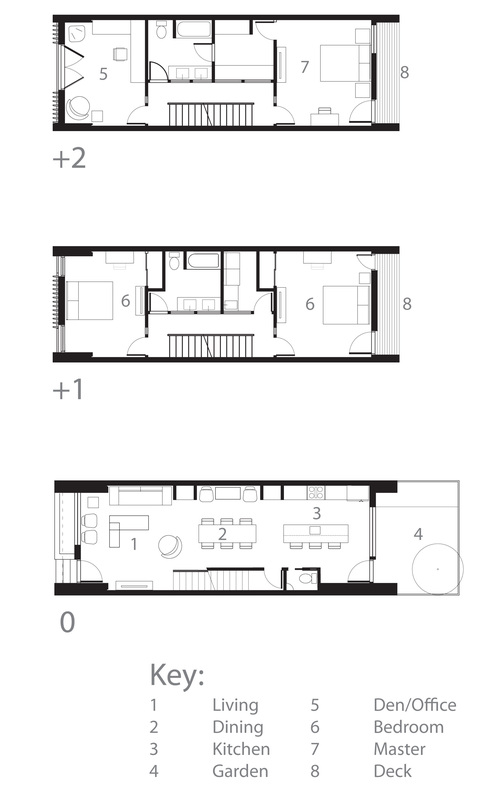 Upper stories house the sleeping rooms. ‘Slider House’ is a part of our ongoing case study investigation of modestly scaled housing prototypes based upon the constraints of a typical Philadelphia rowhouse lot. 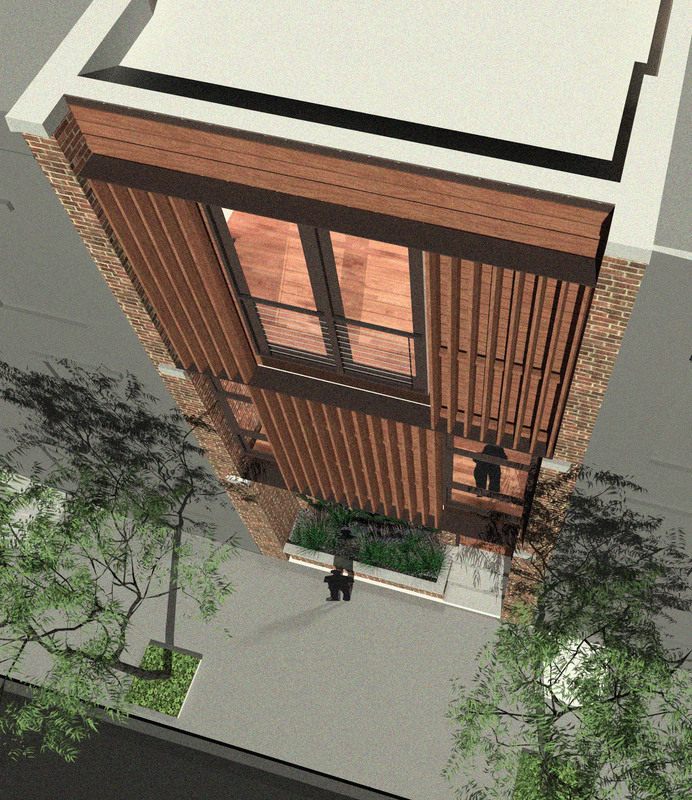 It is designed to ﬁt within a 16 foot lot width and the 35 foot height of a typical three story residential block.